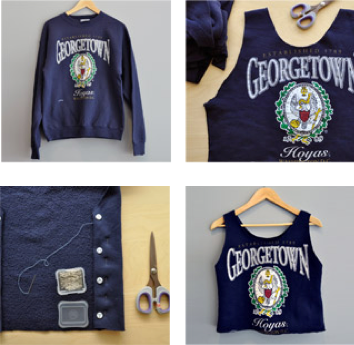 So, I found this cool DIY ( Do It Yourself) stuff via Urban Renewal. Cipriana and I like to do DIY projects when we have the time, and these are some great ideas I know I will definitely try. I always like to take a piece of clothing that I’ve grown tired of and revamp it, that way I can get more wear out of it. Or take something I see in a store and turn it into something cooler! Yes we do!!! Liking this Urban Renewal site. I absolutely love the first 2 looks and that oxford shirt is genius! Very cool! You’ve inspired me to up my DIY game! omg this is amazing. I never even thought of doing anything like this…. I love it!! !